We make huge promises to our spouse when we get married. "In good times and bad times." Photo taken before we left for my heart surgery. One of my apprehensions before Sweetie and I married was the fact that I have a heart condition. I asked him several times if he was sure about marrying me because aside from my condition I wasn't sure if my cardio would give a green light to have babies. He repeatedly reassured me that he loved me and would stand by me no matter what. Before we married I fell very ill with pneumonia and heart failure. He took care of me while I was at the hospital. I was barely functioning for a few months until I received the grace of healing at Kamay ni Hesus in Lucban, Quezon. Sweetie actually proposed to marry me while I was very sick. I had lost a lot of weight and could barely go out on a date without having an asthma attack. I believe I was at my ugliest when Sweetie proposed to me. 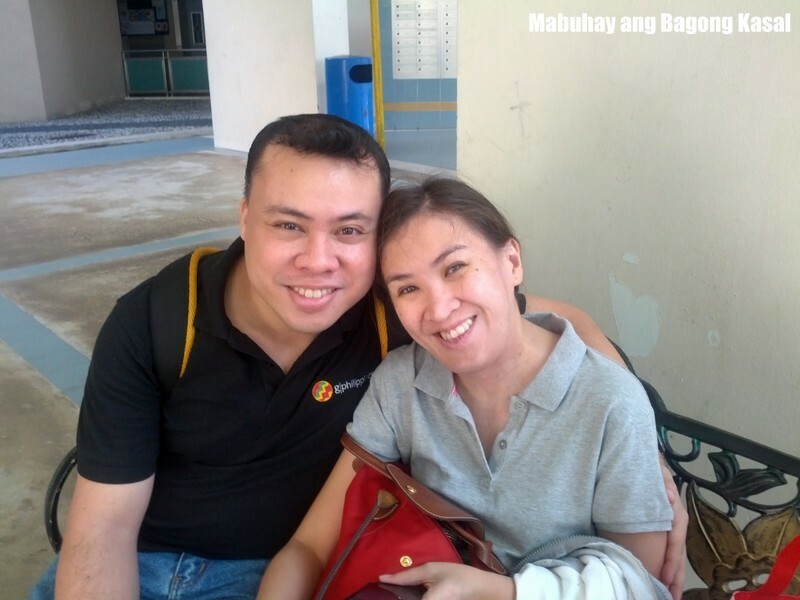 Just three months before we married Typhoon Ondoy victimized both of us. I lost everything I had and Jay lost his car and a lot of things too. We thought about postponing our wedding, but both our parents advised that we should just proceed, make some adjustments and start our life together as soon as possible. Looking back I think Typhoon Ondoy helped us free ourselves from material things and just focus on us. It was a fresh start. Sweetie certainly stood by me and took care of me when I had mitral valve surgery. It wasn't easy since there were a lot of complications that I went through in the last 2 months. He was very firm in his resolve to get me up and running again by really taking care of me. He learned how to comb my hair, bathe me, dress me and found ways to make me comfortable. I realized during my hospital stay that God would really find the best person for you if you ask him to. And what can I say except, "I'm the luckiest girl in the world to be loved by my Sweetie!" You are a remarkable person and also an inspiration to many. It is not a surprise that you attracted someone like yourself.